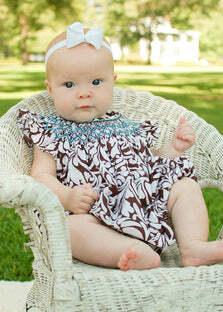 Our gorgeous Sally smocked cupcakes girls birthday dress is available for ages 3 months up to 8 years, the dress has been hand smocked around the neck line and sleeves, and embroidered with the same colors of the fabric, it has yummy cupcakes printed all over it in every flavor, the background color is a pale yellow. 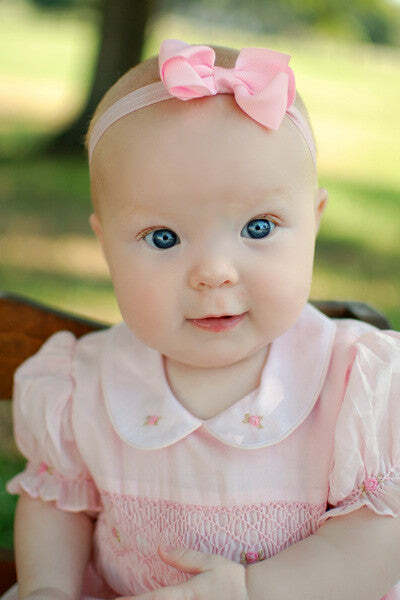 This dress is perfect for any birthday party or tea party. 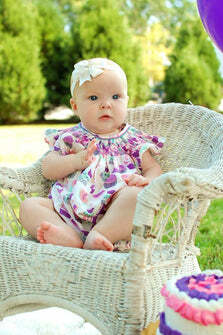 It will make an unique baby first birthday dress. 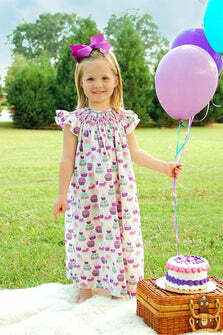 Your little girl will enjoy this cupcake birthday dress as much as her party!! It is made of 100% cotton. 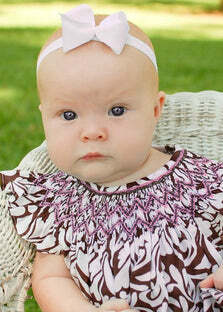 Coordinated baby girls bubble Sophie 17926 and angel wing summer dress Suzi 17854 are also available.